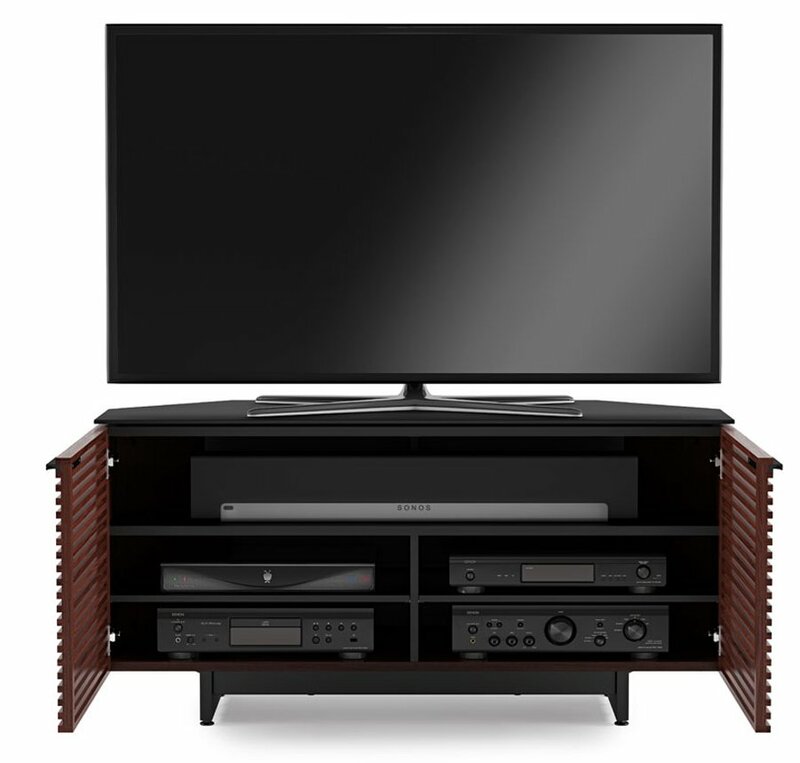 The Corridor 8175 corner media cabinet packs the maximum amount of BDI engineering into a compact footprint, proving that even when you have to compromise on space you don’t have to compromise on design. 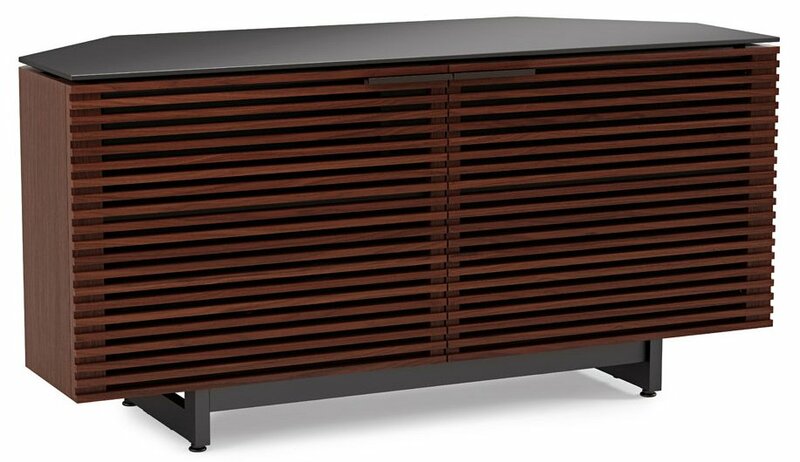 Perfectly designed for corner spaces, the 8175 features tapered rear panels that allow it to function just as effectively in a confined space as it does against a wall. The classic Corridor louvred panels conceal space for a soundbar and media components while integrated levellers to ensure that the stand fits perfectly into your media space. 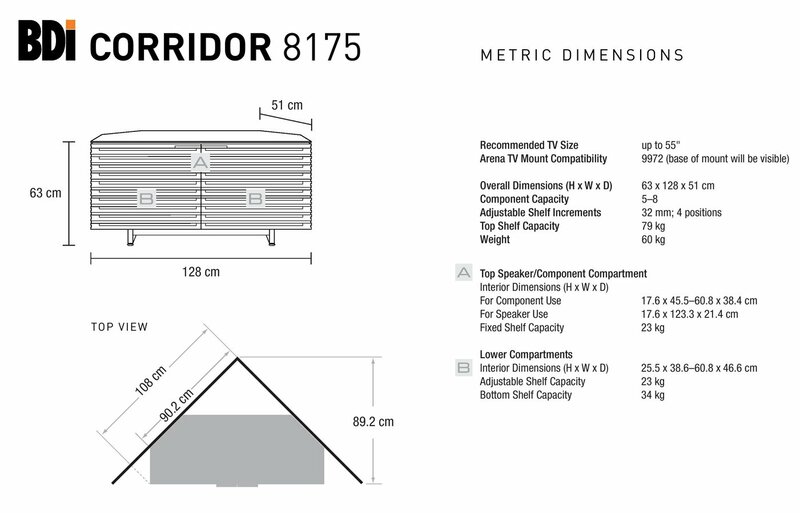 Whatever the size or shape of your home theatre might be, the Corridor 8175 corner unit is engineered to match.